Stroomberg is a well reputated wine and store in the town of Zwolle, province capital to Overijssel, in the Netherlands. The six shosp are well stocked with a wide range of whiskybrands, market house bottlings as well as independent releases. Because Stroomberg does not have a website with all the producst, it is well worth the time to visit the shops. You can still find some older and rarer bottlings for a decent price. 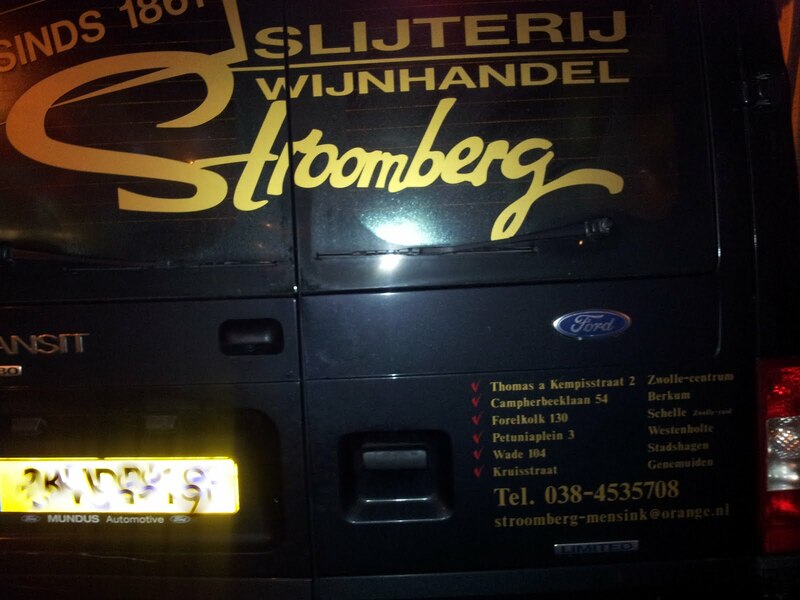 Once a year Stroomberg organizes a series of whiskytastings, a total of six evening this year in November. 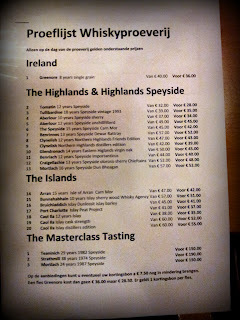 For only €30 per evening you get the opportunity to taste 20 different whiskies. Stroomberg gives you two coupons of € 7,50 each in return to be converted at the purchase of a bottle of malt, so as a regular customer an evening basically will cost you €15,-. 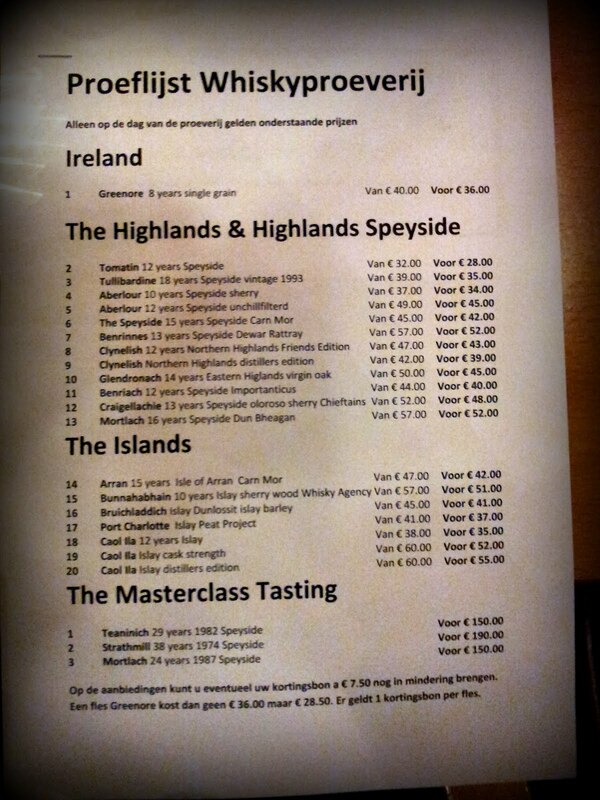 There is also the option to take the MasterClass, three more exclusive and older bottlings for just € 10,-. As we regard as real masters (...) we tend to start with the MasterClass with fresh taste buds. A Whiskytip we would like to give to more people: start with the delicate whiskies and go the younger, less complex whiskies later on in the tasting. It is also important to keep drinking water in between, unless you have other intentions than familiarize yourself with a wide range of whisky flavours..
After the tasting there is the possibility to buy one or more of the whiskies tasted before. This is quite unique in the Netherlands, since we have a (typical Dutch)law that says products cannot be tasted and purchased on the same premises. Luckily the store is attached to the tasting room, so you can get a fair deal, especially when you use your coupon. The whisky that made most impression was a 29 year Teaninich, a Scotch you don't come across to often as a single malt, since most of the production is used in blends by Diageo. Lovely smooth pear and creamy this whisky. Let it rest in the glass for at least 10 minutes (hey, it has been in a cask for 29 years, a few more minutes won't matter). In the video below you'll find an impression of last year's session. If you ever come to Zwolle, make some time to visit one of Stroomberg's stores, we're sure you'll find something you like.